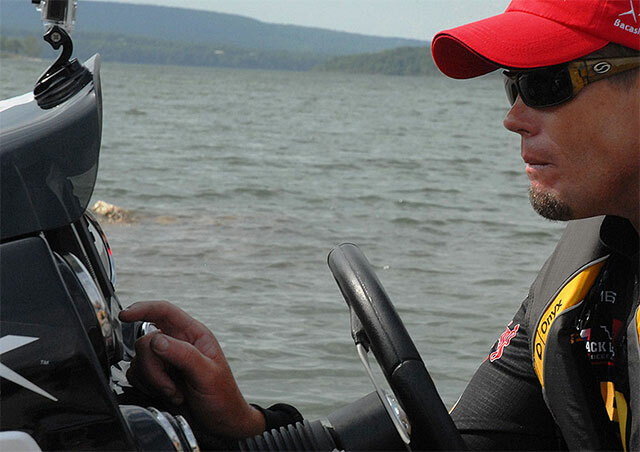 In several years of competing on the Bassmaster Elite Series tour, Alabama’s Derek Remitz quickly figured out a key component to successful bass fishing at the sport's highest level. And that is the necessity of bass fishing out there, offshore, especially in the summertime. 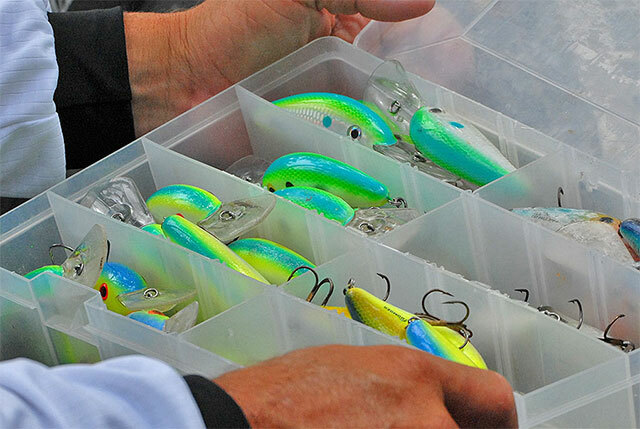 Now a full-time guide on Alabama’s renowned offshore fishing gem of Lake Guntersville, Remitz has converted lock, stock and barrel to offshore fishing tactics in recent years. 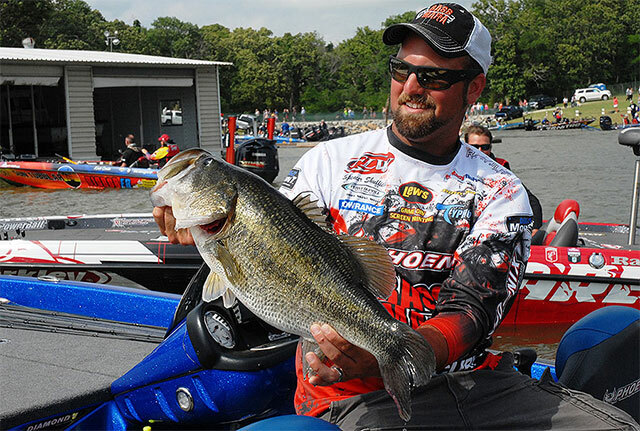 Remitz, who has three appearances in the Bassmaster Classic and one BASS win on his angling resume, has an easy answer for why he points his boat away from the bank these days as the heat of summer develops. To start figuring out the offshore bite on a body of water, Remitz will go old school and grab a paper lake map. What is Remitz looking for? First, he is looking for breaklines, or the perceptible changes in the depth contour lines that occur along a lake bottom as shallow water falls away into deeper water. Depending on the water body being fished, sometimes these breaklines are sharp and pronounced and at other times they are a bit more subtle. But they are almost always important. Once he locates some key breaklines in areas of a lake that might hold fish based on seasonal patterns, Remitz is then on the look-out for some sort of an irregular feature along that breakline. Such irregularities vary and include things like a stump, a tree, a high spot, a point, a boulder, a gravel pile, a brush pile, a shell bed, a channel bend, an intersecting ditch or even a change in bottom composition (i.e. the change from sand to gravel). The more isolated an irregularity is on a breakline, the better it often tends to fish. While such isolated features can sometimes be easier to locate on typical ledge-fishing reservoirs like Kentucky Lake, they can be a bit more difficult to find on shallower reservoirs. That includes Toledo Bend Reservoir, the East Texas bucketmouth factory where legendary BASS pro and two-time Major League Fishing champion Kevin VanDam went offshore, winning his 21st BASS derby by fishing deep-water humps with Strike King 6, 8 and 10 XD series deep-diving crankbaits. “Lakes in eastern Texas have long tapering points and then they roll off,” said Remitz, who has a good amount of experience on a number of offshore lakes like Guntersville, Kentucky Lake and T-Bend. "They might have a creek channel that bumps the point (or something like that)," he said. "On these kinds of lakes, I’d look for a main-lake point or a secondary point that runs out a ways and the chances are that it’s going to have a stump or two on it, or maybe some gravel, or maybe a hard spot on it. Once his map study is complete, Remitz says it is then time to get in the boat and go out and actually fish these bass-congregating features. When you locate a school of active fish, toss out a marker buoy or two, triangulate with shoreline features and/or mark the spot with your GPS. Then proceed to milk the school of bass with a variety of deep-water baits. 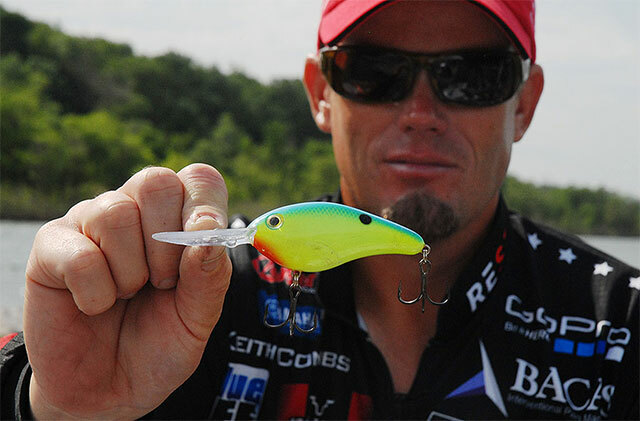 "I’ll have a rattling deep-diving crankbait (tied on); a silent deep diving crankbait; some kind of swimbait like a hollow body on a jig-head like the Storm WildEye; those big spoons; a football jig; or a big worm,” said Remitz. Once you find a school of bass ganged up on offshore structure in the summertime months, the battle is usually half over.